I love beautiful flowers but must admit I don’t have a green thumb. When someone gives me a plant, the family takes bets on how soon it will die. I’m still hanging onto a Christmas cactus my cousin gave me last year and have high hopes it will bloom in December. We’ll see??!! However, my husband’s roses are the envy of the neighborhood. Once he had the most gorgeous climbing mandevillas. These four plants produced large pink flowers that spread across our front fence. Even strangers marveled at their beauty. Imagine our shock when we returned from a trip to find the vines cut straight across about 10 inches from the ground. The plants, roots and all, were gone. It took us a few days to notice them missing because the flowers looked as lovely as usual. It was disheartening when we noticed our loss. Whom does one call in a situation like this? The potted plant patrol? The horticulture police? The lawn lawyer? The mandevilla militia? It was all I could do not to wish the culprits ill will. What kind of a warped person steals plants from someone’s front yard? I didn’t know whether to feel sorry for them or wish they’d get an incurable case of poison oak. At first the flowers appeared to flourish and looked as good as ever. If you didn’t know the roots were gone, you’d have never suspected they were slowly dying. It was sad to see them one by one wilt and turn brown. The top blooms looked like they were reaching for the sun, clinging to life – but to no avail. Without the mother plants and roots, they couldn’t make it. It reminds me of the parable of the sower in Matthew 13. (NIV) Some seeds fell along the path on the wayside. Some fell on stony ground. Some fell among thorns. Some fell on good ground. (v. 3-8) These seeds represent the Word of God. 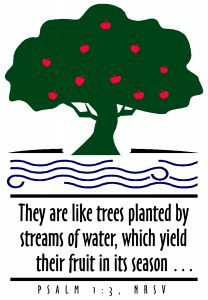 (v. 18 -23) Those that fell among the rocks represent people who receive the Word with joy and gladness but the seed doesn’t really take root. Because these believers are filled with joy, no one would ever know they aren’t really rooted in Jesus Christ. By all appearances, they look like they are flourishing. They bloom a little and, like our dying mandevillas, they look like they are growing, but without roots they are doomed to wither and die. They believe and endure for a time. However, when tempted, afflicted, persecuted, or offended, they fall away. They do not persevere. 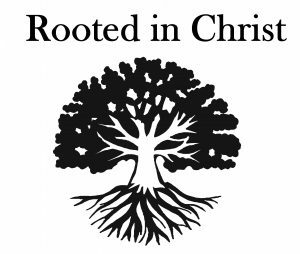 So I guess the question is, “Where are our roots?” Are we rooted in Jesus Christ? Are we rooted in the Word of God? Are we seeking to do the will of the Father? Are we developing an intimate relationship with Him on a daily basis? Or do we just come to church every week giving the appearance we are growing and flourishing. If so, when the trials come, we won’t make it.